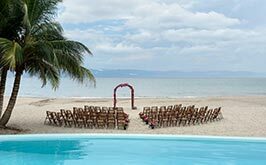 Beach weddings in Mexico are a dream ... what more could you want? Sunny skies, breezy weather, breathtaking views, the love of your life by your side and all of your favorite people together in one place. 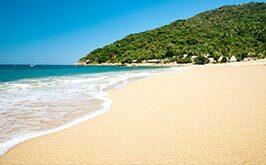 If you're planning a destination beach wedding, you've probably begun to wonder: what is the best gift to give? Keeping in mind that your guests will need to pack anything you give them in their already-full suitcases, what is the best gift for destination wedding guests? We've done your research for you and found inspiring gift ideas for wedding guests that focus on travel and necessities. Beautiful but simple bags made from a traditional Mexican style like jute, canvas or even straw make a wonderful addition that your female guests can cherish forever. Add surprises inside like a miniature survival kit for the next few vacation days like chewing gum, flavored chapstick, headache medicine, bandaids and a facial cream or even some colorful crafts typical of the destination. We recommend that the hand bags don't come printed with something that alludes to your wedding if you want your wedding guests to truly enjoy these gifts for years to come. Nobody likes to go down the street with a bag that says "Our wedding, Juan and María!". 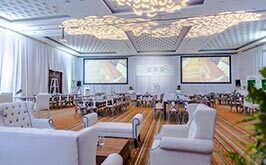 If you're planning your destination wedding at one of our Grand Velas locations in Los Cabos, Riviera Maya / Cancun or Puerto Vallarta, there are so many great evening shows that your guests can enjoy after the wedding. 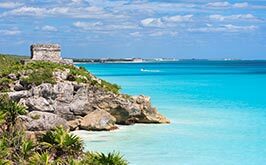 Buy them VIP passes for your guests to attend a Cirque du Soleil show, Wirikuta, Rhythms of the Night, or even a local concert and the whole wedding party can kick back, relax and have some fun spending time together in paradise after the beach wedding festivities. 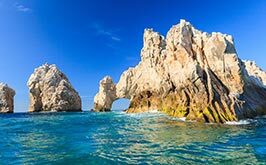 Beach weddings are often in the direct sun, and when you're on a Mexican beach it comes in handy to have a beautiful fan to cool off or even a straw hat. You can go with soft, natural tones that are good for every style, or use elements and beautiful colors from your wedding decor. Straw hats for men are a fun addition (and cultural) that can add some Mexican spice to your day. 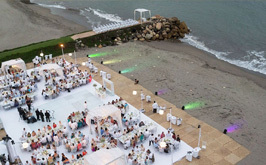 If your destination wedding is during the summer season, your guests will greatly appreciate the gesture. A destination beach wedding means that your guests will already have their bags with them - how about giving a token momento they can keep on their luggage for years to come? 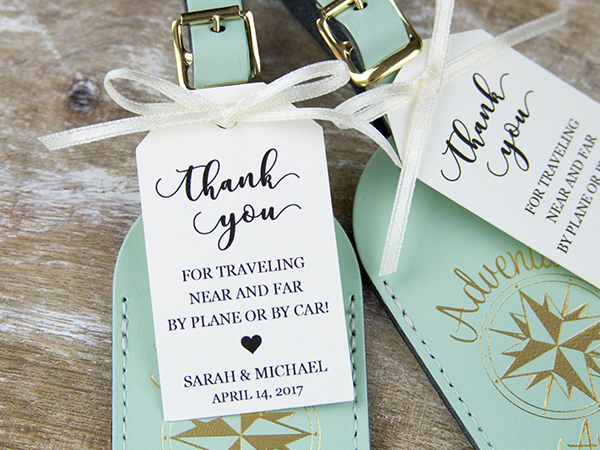 Personalize the luggage tags with their names so they can truly enjoy it. This is a perfect gift idea since it doesn't need to be packed. Add a decorative insert with a table assignment for your reception and use the tags as decorations they can keep. 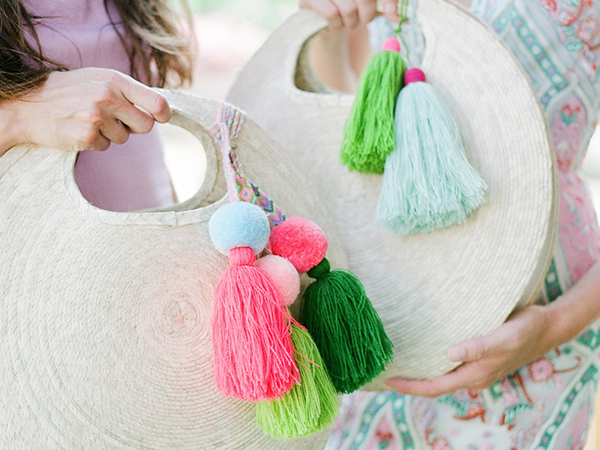 Whenever your guests use their luggage, they'll remember your big day fondly! Surprise and spoil your guests in new and exciting ways that will create a fun and unforgettable wedding vibe. 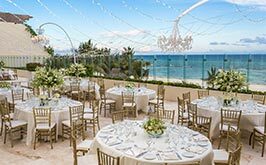 If you're just beginning to plan your wedding on the beach, let our seasoned wedding planners at Velas Weddings get your wedding planning started right. 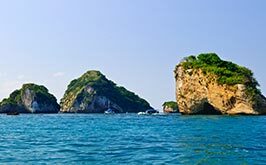 We are experts in luxury beach weddings on the most breathtaking beaches in Mexico. Our exclusive Grand Velas Riviera Maya resorts, Grand Velas Los Cabos, Grand Velas Riviera Nayarit and Casa Velas in Puerto Vallarta, have gorgeous natural settings, with meandering streams, gardens, exotic cenotes more so that the wedding of your dreams will transform into your big day - right before your eyes. 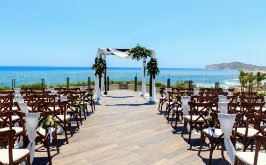 Visit us at Velas Weddings to discover everything we offer and begin planning your destination wedding with our creative wedding planners.